The Senatorial race to fill the seat previously held by now Attorney General Jeff Sessons is something that I have been following for a while. With the election now being less than a month away, on December 12th, I’m not breaking any news that the allegations that Judge Roy Moore had an affinity for teenage girls some 40 years ago when he was in his 30’s, first reported in the Washington Post, and has been completely dominating the news lately. Personally I have been very torn on who to believe in all this. It would be easy to dismiss the Post’s account due to their very blatant bias but when I read articles by such people as Jonah Goldberg, of the National Review, it does give me pause. 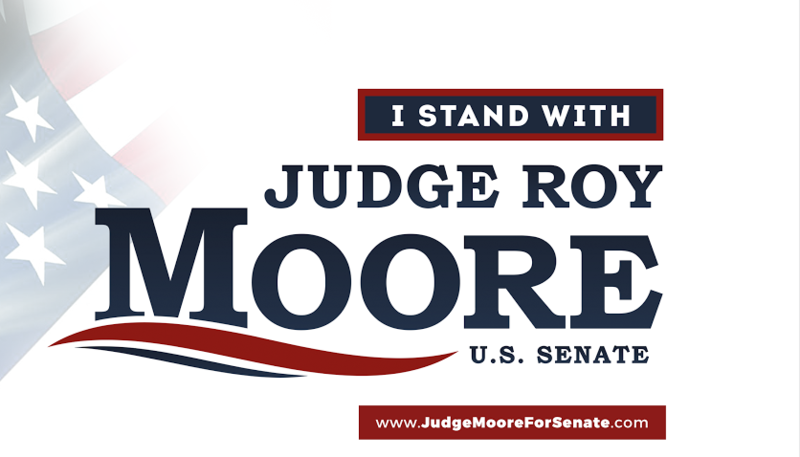 Something that I try to keep in mind is that so many people that are loudest now against the Judge are some of the same people, who from the very beginning, have posited that Alabamans made a big mistake in nominating him in the first place. McConnell’s practically bragging during his Press Conference with Donald Trump with this statement: “Back in 2010 and 2012, we nominated several candidates, Christine O’Donnell, Sharron Angle, Todd Akin, Richard Mourdock. They are not in the Senate. And the reason for that was that they were not able to appeal to a broader electorate in the general election. You have to nominate people who can actually win, because winners make policy and losers go home.” Of course this completely ignores the likes of Ted Cruz and Marco Rubio who did win their elections during that period. One person who has supported Judge Roy Moore from the beginning and still stands with him is talk show host and Conservative Review contributor Steve Deace. Deace has made it very clear that he knows Moore on a personal level and explains why he can’t believe that he is not telling the truth about this situation. Steve Deace spent his entire show, titled On Roy Moore, on CRTV on Tuesday night, in a very heartfelt manner explaining why he continues to endorse Roy Moore, the problem for many is that you have to be a CRTV subscriber to watch the program. A good summary of what Steve Deace discussed on his CRTV program can be heard in an interview he did with Glenn Beck on Beck’s Wednesday program. The issues I raised yesterday, and in fiery fashion, about the hypocrisy here are a separate issue from this post. And they will remain once the matter with Moore is settled. At some point we’re going to have to decide we’re going to fight for our people. Now, maybe this isn’t the right time, and I’ll get to that in a moment. However, one can think Moore is guilty or innocent, but see the total and complete fake horse puckey Kabuki Theater of the past few days. Make no mistake, anybody we try and get through the swamp/establishment/etc they will try and destroy if they can. My best sources believe it’s the Republicans/McConnell that have been feeding this story all this time — not the Democrats. Ultimately it’s up to the good citizens of Alabama to made the final determination. I can foresee them, if no concrete proof of the allegations is presented, giving a giant middle finger to the DC establishment and overwhelmingly elect Judge Roy Moore to fill this Senate seat. ← Why Is He Still Here?